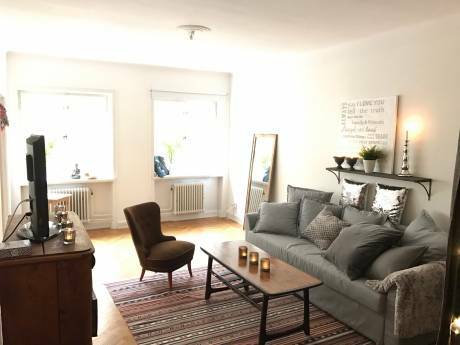 Enjoy the most genuine house and magnificant view of Stockholm, in this unique apartment on Stockholms best address in this one-of-a-kind-flat! This culturally preserved early 19th century building provides with impeccable view overlooking the best and most beautiful parts of Stockholm. This is a one-of- a-kind apartment. Very bright and airy with antique floors and high ceilings. 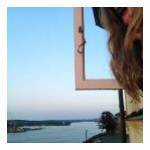 Big windows overlooking the Stockholm islands. All rooms have Tiled stoves and high ceilings. This practical and spacious 2 room apartment, is sutiable for a couple or a couple with a child. The kitchen is big and provides seating for 8 people. Big Bathroom with bathtub, and washing machine. In the back there is a small flower garden with out door seating and a BBQ grill. Dont miss this chance to experience Stockholm from its most beautiful and charming location, in the best of Södermalm. Calm and quiet block but just right close to cafes and wonderful shops, bars and restaurants in popular SOFO and very close the wonderful FOTOGRAFISKA MUSEUM. Just some blocks away you will also find all you could need such as grocery store, pharmacy, liquor store etc. 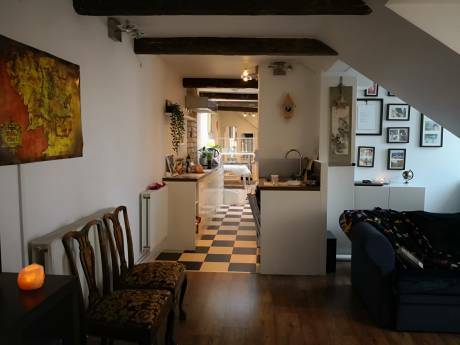 Two minutes walk to buses , and close to subway station SLUSSEN. Walking distance to ferries to Djurgården, and the wonderful park VITABERGSPARKEN, good for picnic and walks. We love design and art and books! SOFO - so much in this area.